Scan 100 PCs In About 5 Minutes! New Network Device Age Feature! Now free for up to 50 devices network devices! 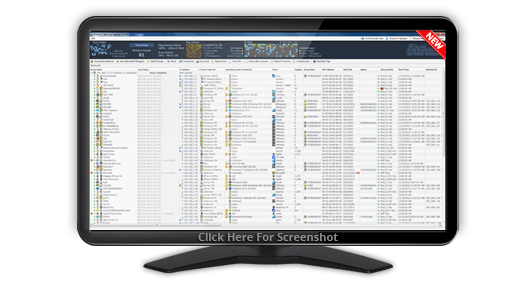 A new Windows-based advanced network scanner and discovery tool for organizations, MSPs (Managed Service Providers) & home users. 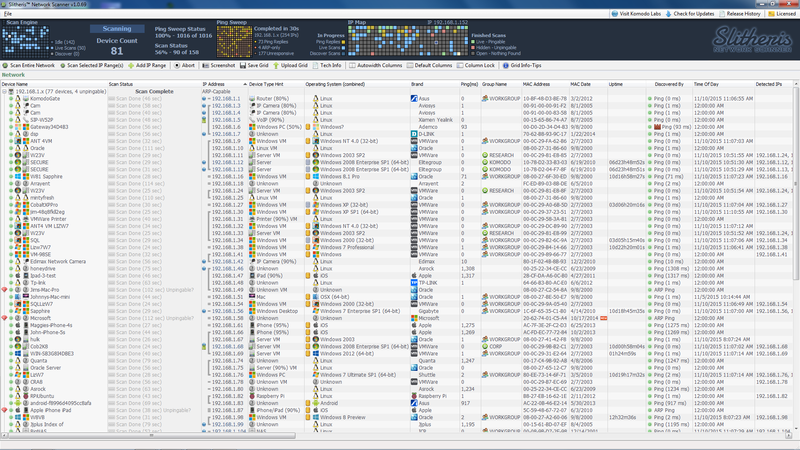 created to help find, identify and provide other valuable information for network devices, PCs and servers. * To discourage anti-virus companies from classifying Slitheris as a Potentially Unwanted Program (PUP) and to reduce malicious use, Internet ipscans are prohibited by default. All code is digitally signed using the latest in SHA256 authentication certificates to prove the software wasn't tampered with, along with the country of origin.Organizations with a legitimate need to scan public Internet IP ranges may request a special license for specific IP blocks.